Children bring a sense of love and calmness to our hearts. I love waking up every day knowing that I can help children reach their goals to the best of their ability. I enjoy the creativeness and imagination children bring through play and art activities. I love that children can brighten my day with just a smile or a hug. I have my Early Childhood Development Credential an AA in Childhood Development and I am CPR & First Aid certified. I have been working with children since 2007. I’m finishing up my BA at CSUN. I am from Northridge, California and have lived her all my life. I am partly British but my parents were born and raised here in America. I enjoy drinking a lot of tea and taking part in eating lots of delicious English deserts and foods. I live with both my parents and my older sister Samantha. I have another older sister named Amanda who has been married 5 years to Anthony and they live in Calabasas. I have two best friends Kelly and Shailynn who I have known for 14 years. During my free time I enjoy spending time with my family and dog Riley who is going to be 13 this year. I also enjoy going to the movies, beach, bowling and traveling when I am able to. I also enjoy playing tennis. 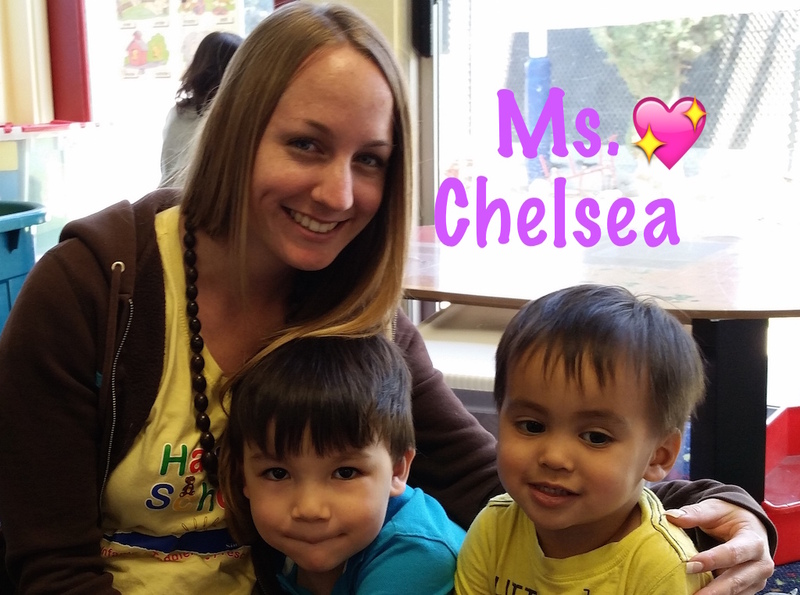 Ms. Chelsea teaches primarily in our Preschool. However, just like all our teachers you may see her interacting with any of the children. Her anniversary date is June 1, 2015.